Sandstorms are a persistent problem in the Arabian Gulf and other areas in the Middle East, however, they are most active during the spring and summer months. 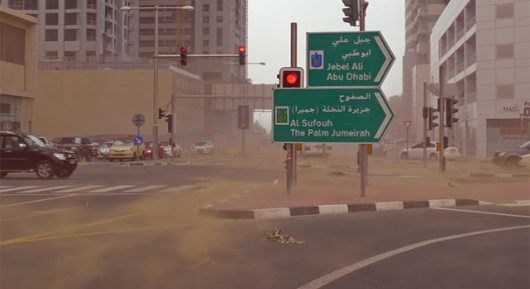 With varying severity – sandstorms typically hit the United Arab Emirates (UAE) eight to ten times a year. And as people in this region spend more time indoors, it’s important that we continue to improve the building’s ventilation systems. To achieve this we need to provide the right solution that shields HVAC equipment’s from sand before it becomes a problem. Sand louvers are excellent choice for building owners and facility managers looking to protect the building's ventilation system from getting clogged up with sand, whilst maintaining a reasonable airflow characteristics by means of a special double blade design. When airstreams carrying windborne sand impinge on the face of the louver blade, the terminal velocity (Vt) of the airborne sand particle is dramatically reduced. The louver then uses the gravity to pull the sand and dust particles to the bottom panel. Depending on the design, the bottom panel would either sweep the sand through an inclined plate, typically 45° or by drain holes, of typically 25mm diameter. For further details and description on how airborne sand poses an increasing challenge to HVAC service technicians, AMCA (Air Movements & Control Association) will soon be publishing a white-paper that will be accessible on their online library. AMCA has also made the newly released test standard for sand louvers (ANSI/AMCA Standard 500-L) available for purchase.